This term we are studying Crime and Punishment. 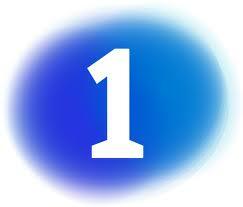 You will need to create a series of 3 video blogs to record your learning throughout the term. Choose a partner to work with and let your teacher know who your partner will be. Use a device or the web camera on your computer to record one or both of you explaining what you know about crime and punishment. It only has to be a few minutes long but you need to make sure you can upload it to Youtube before the end of the lesson. Use the following questions to help you decide what to say for your first blog. 1) Can you tell any stories about criminals? 2) Can you give a definition of crime? 3) Are you able to talk about the implications of crime for society? 4) Are you able to describe how the victims are affected? 5) Have you or somebody you know ever been affected by crime? 6) Have you seen crime in films or on TV? 7) Can you name different types of crime? 8) How does crime make you feel? 9) Do you believe that criminals should be punished for what they have done? 10) How do criminals become like that in the first place? Get an instruction sheet from your teacher. It will tell you how to set up a YOUTUBE account by first setting up a gmail email account. Once you have set up your youtube account, then you can film yourselves in your first blog. Do you want to know more about the famous criminals on the top of this page? One became famous because he tried to represent himself in court, another was a very young killer and one created trophies for himself from his victim's body parts. Follow this link to learn more. Submit your list to your teacher before the end of the lesson like the example on the right. I'd be about 8 gave me mum one hell of a mouth full. She told me that if ever I spoke to her like that again she would wash my mouth out with soap. So what did I do? I gave it back to her but with a few words added for good measure. She some how dragged me to the sink put her hand on my forehead reached for the soap and rubbed the soapy bottom bit in my teeth. I never did it again because I was spitting soap for hours !!!!! Colloquial writing is everyday language. The kind of simple and straightforward language you would hear your friends use or hear used on daily basis. It is not suitable usually in English formal writing. In this example, the writer uses the words "me mum" instead of "my mum" and the phrase "one hell of a mouth full." Also the writer says "I gave it back to her" which is referring to the way he spoke rather than an object. •The death penalty is the ultimate, irreversible denial of human rights. By working towards the abolition of the death penalty worldwide, Amnesty International aims to end the cycle of violence created by a system riddled with economic and racial bias and tainted by human error. •Amnesty International campaigns to abolish the death penalty in the USA by focusing on individual cases of injustice, supporting work for death penalty repeal efforts in the states, and educating campuses and communities about the fatally flawed nature of our capital punishment system. This style of writing is persuasive. See how the writer uses emotive words such as; "irreversible" and "denial". Persuasive writing uses emotive words to influence the reader to their viewpoint. Strong verbs are also included such as; "riddled" and "bias" and "tainted". The strength in the verbs are intended to make people energised at the same time as emotional, so that they are influenced to the viewpoint. This writing could be considered to be either descriptive or informative. So the difference between the two is the add on "using listing". Scan through the article and see if you can find a list anywhere in it so that will help you decide the style of writing. Sometimes the executioner was ordered to strike on the stomach and chest, a practice known as the ‘blow of mercy’. The number of blows was specified in the court sentence. If mercy was shown, after two to three blows the victim was strangled. In severe cases, the victim would be cudgeled ‘bottom-up’ starting with the legs, while those who had committed lesser offenses were beaten 'top-down' starting with the throat. 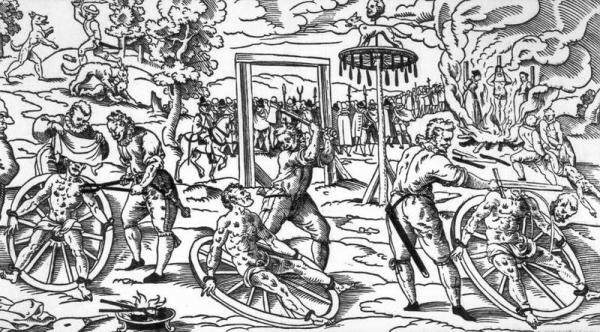 When the execution was complete, the criminal’s head was often placed on a spike for exhibition and the shattered limbs were left for birds to eat. Imagine the pain and suffering involved in this cruel execution method. Hanging is one of the most ancient forms of execution. 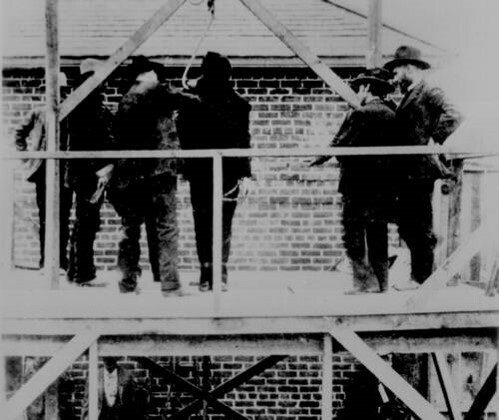 British and U.S. law have always incorporated death by hanging. Although most states have abolished this practice, New Hampshire and Washington still allow prisoners to choose this option. The most recent legal U.S. hanging took place in 1996. How It Works: The prisoner stands on trapdoor, and a rope descends from a wooden beam overhead. The rope is fastened around the prisoner's neck in a "Hangman's noose," which tightens when pulled upon. The executioner pulls a lever opening the trapdoor and dropping the prisoner, who ideally dies quickly due to a broken neck. Complications: The length of the rope must be carefully calibrated in proportion to the prisoner's weight. If the rope is too short, insufficient velocity is generated to break the prisoner's neck and the prisoner is painfully strangled to death. If the rope is too long, excessive velocity is generated and decapitation may result. Even if the rope is of exactly the right length, a prisoner with an exceptionally large or strong neck may suffer strangulation rather than immediate death. This style of writing is descriptive. It gives lots of details and there are no lists. NB. Informative and descriptive writing are very similar but the difference you were asked to find here was whether the writer uses listing. In this example there are 2 U.S. states mentioned but it is not a list.